Recently renovated and re-imagined, The Big Four Roadhouse has been transformed into a modern venue and boasts an enhanced event experience. 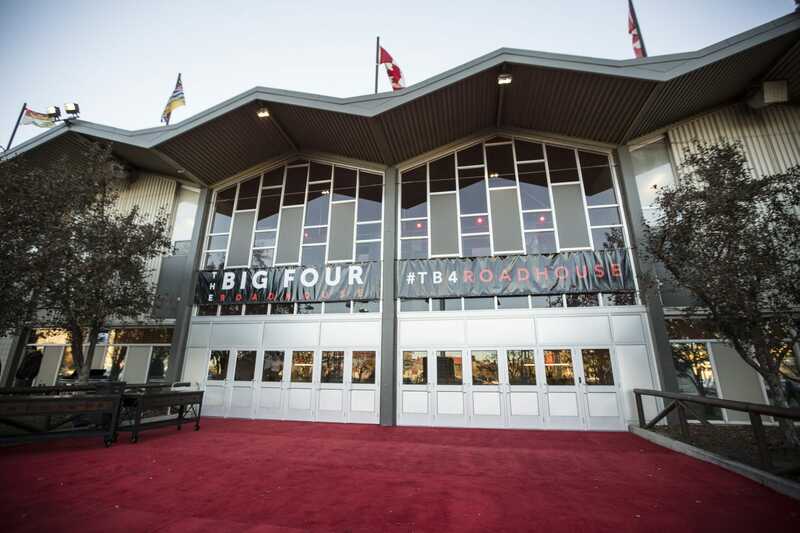 With exhibit and event space on two levels, The Big Four Roadhouse can accommodate a variety of different events, from concerts to trade shows and is equipped with show offices, exhibitor lounges, concessions, and more. Its three halls – A, B and C – are ideal for corporate hosting, special events, and more. The upper level features The Roadhouse, the newest live entertainment venue in Calgary that includes built-in stage and bars, as well as in-house sound and lighting systems. Originally built in 1959 as a multi-purpose exhibits building and curling rink, this venue was transformed into a media centre for the 1988 Winter Olympics. Over the course of its life-span, this facility has housed indoor tennis courts, a casino, food and entertainment attractions during the Stampede festival, trade shows, and galas.